Posted in Digital SLR Cameras on September 16th, 2008. No Comments. Canon – and I suspect most any company in any industry – is not prone to go out and announce a problem unless there’s a solution to go along with it. This is particularly true for a product that is selling well, and the the majority of customers weren’t having a problem with. Nice excuse! We can feel sorry for the poor souls who had to suffer through the headaches and pains of dealing with the AF problems. Unfortunately, what was said is likely true. Posted in Digital SLR Cameras on September 15th, 2008. No Comments. 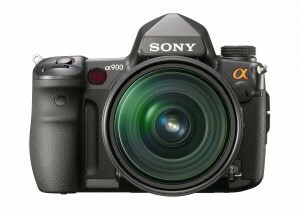 Sony’s 24.6 megapixel full frame digital SLR camera A900 is available for pre-order at SonyStyle. It will be available on or about October 30th for $2999.99 body-only. I am sure many of you are tempted by this fine photography machine at this price point. However it doesn’t really hurt to wait though. Canon is bring out its EOS-5D replacement and there is a rumored Nikon high pixel count full frame DSLR coming as well. Posted in Digital SLR Cameras, Photography Deals on September 14th, 2008. No Comments. 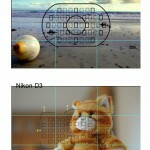 The layouts of the auto focus (AF) sensors in the viewfinders of some Canon, Nikon and Sony DSLR cameras are compared with rule-of-the-third grid lines superimposed, thanks to the DPReview forum member Matt Cham. If you want to shoot with the rule-of-the-third composition, you may find it a little bit tricky on these viewfinders to auto focus at exactly the 1/3 points. The focus and recompose technique can still be useful, even with so many AF sensor points on some models. Posted in Digital SLR Cameras, Online Resources on September 12th, 2008. No Comments. 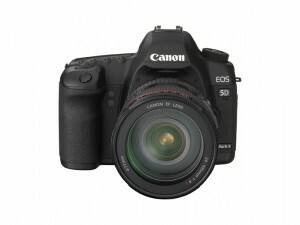 Canon 5D Replacement Getting Closer But Still A Week Away? Posted in Digital SLR Cameras on September 11th, 2008. No Comments. Posted in Digital SLR Cameras on September 9th, 2008. No Comments.